Today was Baking Day for my family. My momma joined me in the kitchen and we made all kinds of sweets and treats. My feet are so sore. It has been a long day in the kitchen. I’m thankful for the times we get to spend together. I will always remember these days together in the kitchen. I found Jackson under the tree and just had to snap a picture. 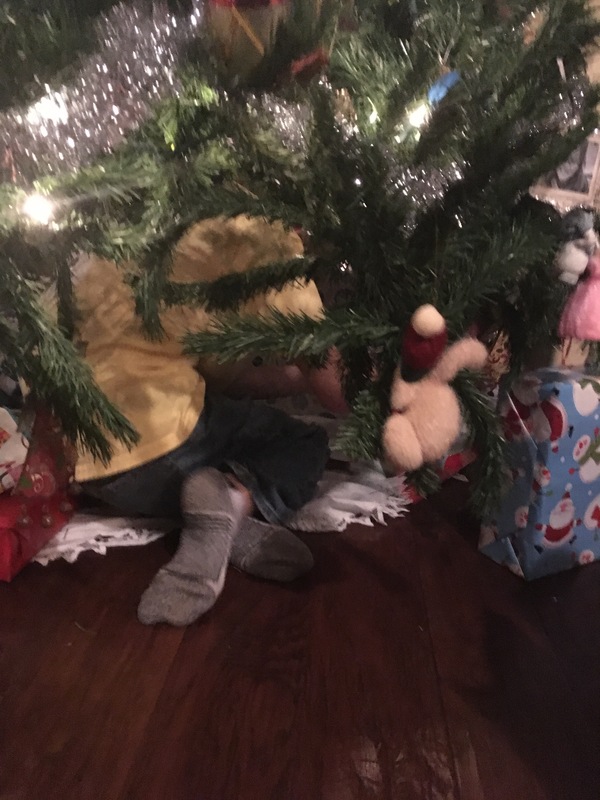 I’m not sure how much longer I’ll find him there.